A day after income tax sleuths along with poll flying squad carried out raids at the residence of DMK leader Kanimozhi at Tuticorin, Chidambaram in a series of tweets said, "the news," is that nothing was found during searches in her residence. 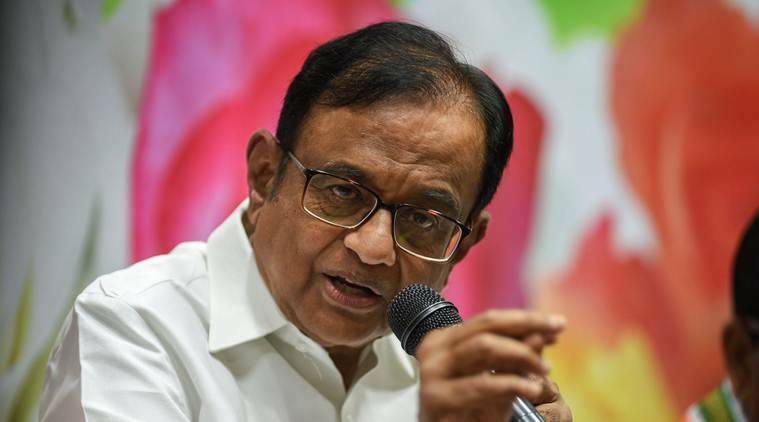 Senior Congress leader P Chidambaram Wednesday accused the income tax department of taking “autocratic and partial” action in Tamil Nadu in the run-up to the Lok Sabha elections. A day after income tax sleuths along with poll flying squad carried out raids at the residence of DMK leader Kanimozhi at Tuticorin, Chidambaram in a series of tweets said, “the news,” is that nothing was found during searches in her residence. “How is it that tip-off on opposition leaders alone is received (by officials),” he wondered in his tweet in Tamil.